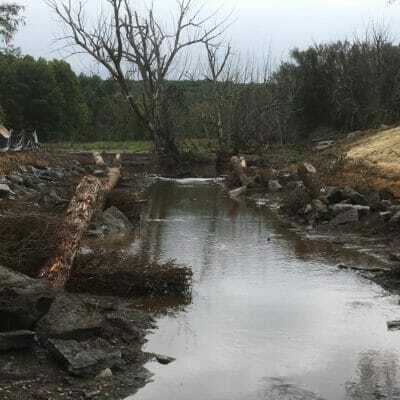 Laughter on a cool, rainy day in northern Vermont is not common, but when you have a group of dedicated volunteers ready to dig in and plant more than 2,000 trees, shrubs and willow stakes at the former East Burke dam site, the laughter and camaraderie spills over. 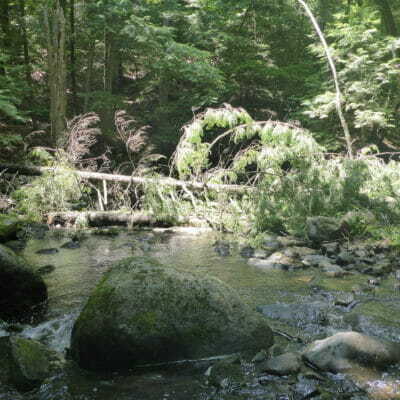 The site, on the East Branch Passumpsic River in East Burke, previously was cleared of invasive plants and was in need of riparian restoration. 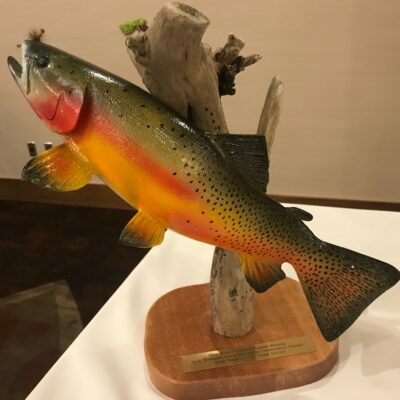 The Mad Dog chapter of Trout Unlimited took on the challenge, applying for and receiving an Embrace a Stream grant in order to make the restoration project a reality. 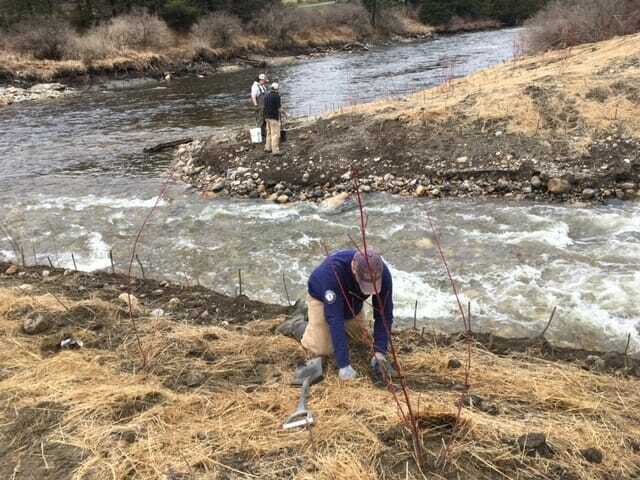 As they tackled the project, volunteers and professionals worked for three days to plant the native species vegetation, and also to create river access via stairs. 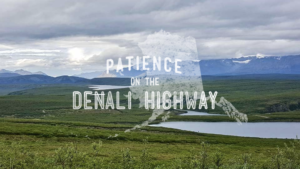 The work was hard and the conditions tough, but cheerful attitudes gave the volunteers the energy to complete the job, which will help others enjoy the river’s beauty as they bike, walk, fish, or paddle by. Eliza Perreault is a conservation technician and education coordinator for Trout Unlimited’s New England Habitat Restroation Area.